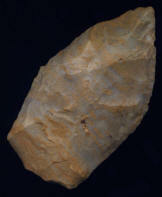 Description: Nice Hornstone Tennessee Quad - Nice Quad made of Hornstone that was found in Tennessee. 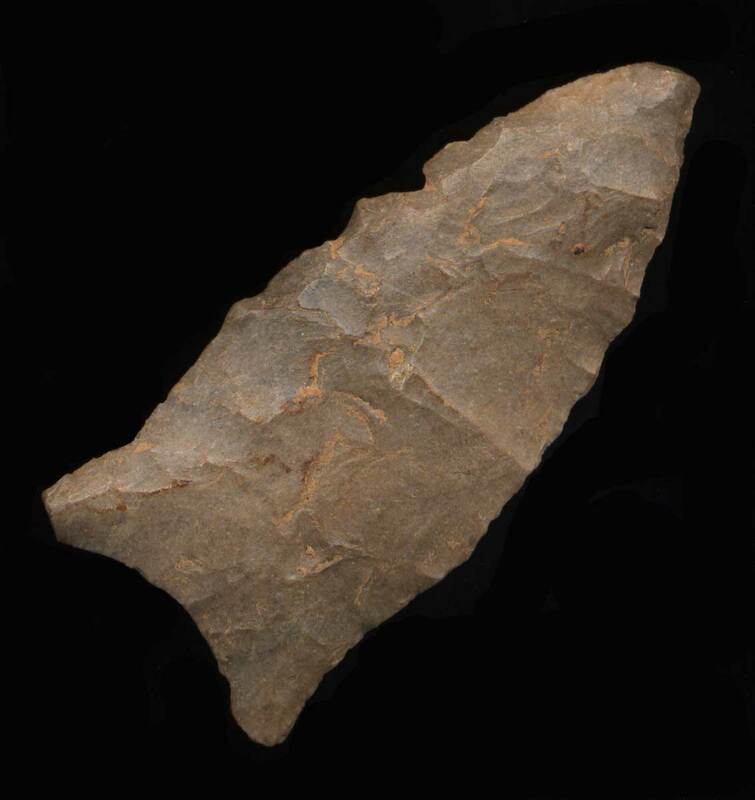 Ancient tip ding. should grade G-7 or G-8. 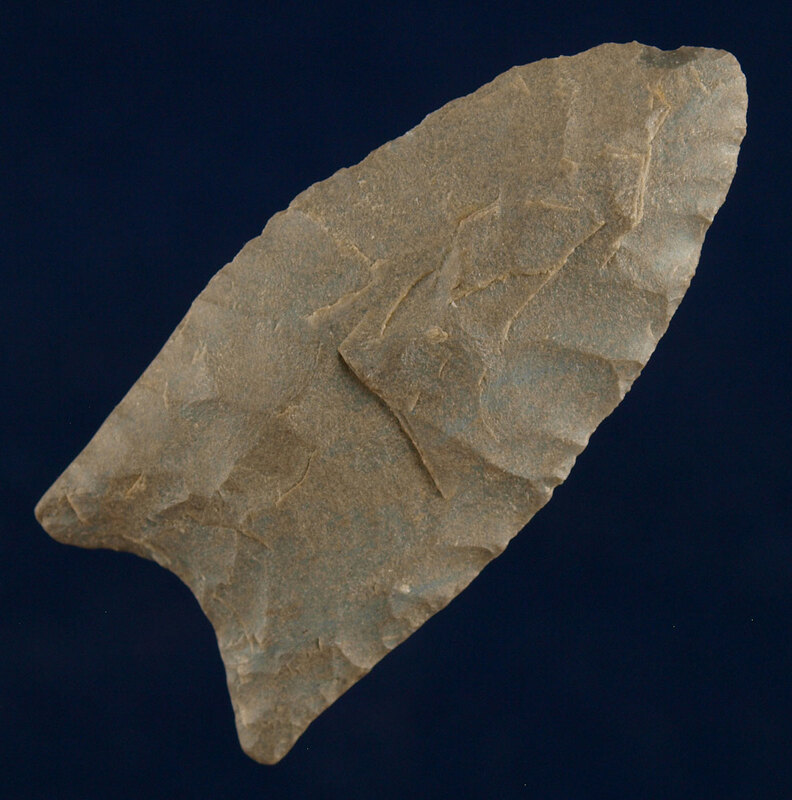 Description: Paleo Lanceolate Point - Material looks like west Tennessee or Alabama to me. 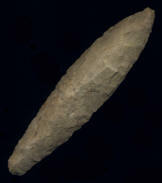 Description: HI-LO - Here is a more rare type Paleo that has unfortunately has some area's of re-chipping on. It still displays well as the Type. Rare typology at a bargain! 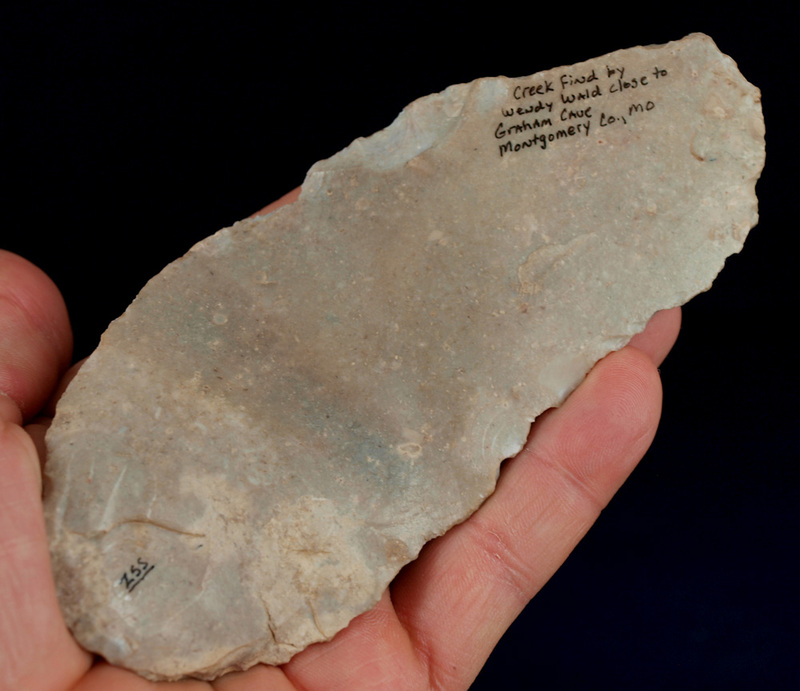 Description: Colorful Exhausted Agate Basin - This Agate Basin was found in Western, KY. 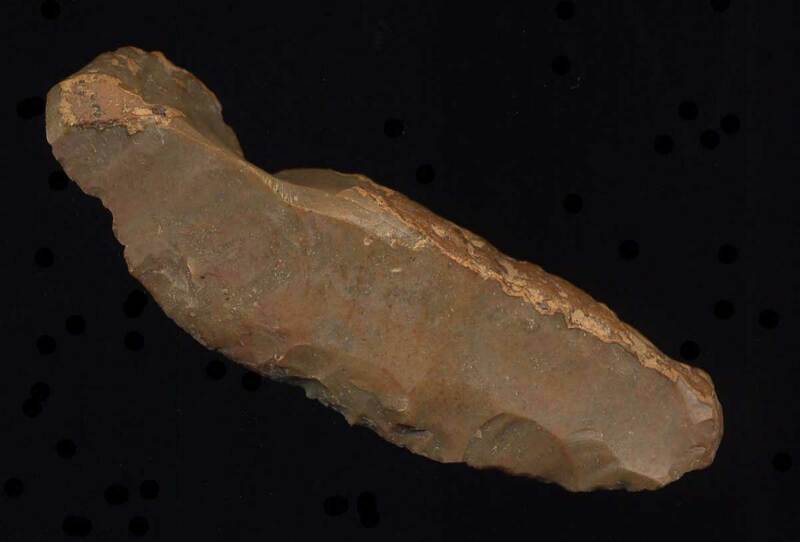 It has been re-sharpened all the way to where it was hafted. Description: Kentucky Fort Payne Chert Quad - This Quad is made of highly patinated Fort Payne Chert. 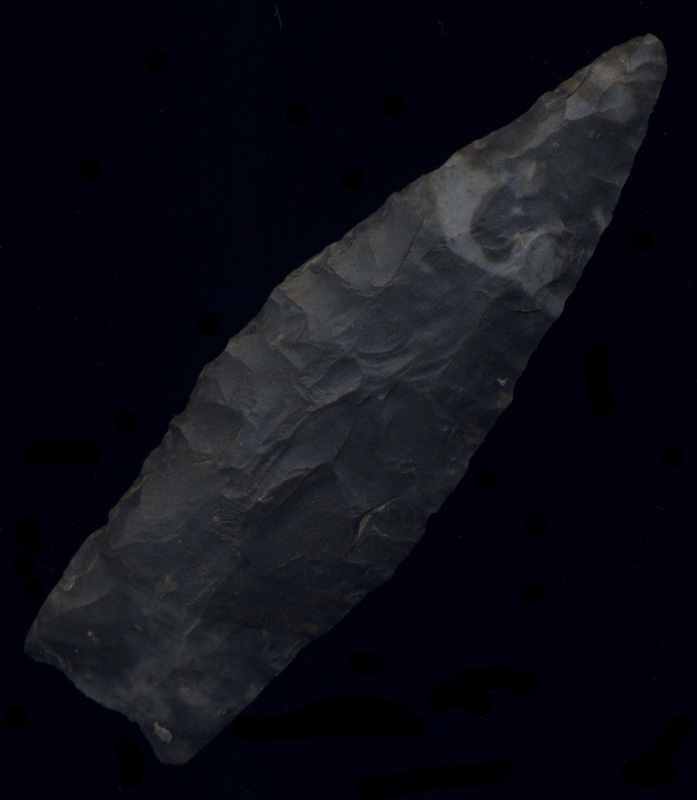 The hafting area is well found. It has a couple of old dings in one side. It was found in Estill County, Kentucky. Ex- Monty & Jewdy Pennington. 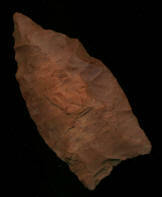 Description: Paleo Uni-face Knife - This Big Paleo Uni-face is most likely Fort Payne Chert. It was found in Hardin County, Kentucky. 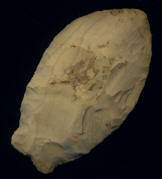 Description: Paleo Uni-face Side Knife - white cortex on the back. Nice Flaking. Not sure what this colorful material is. 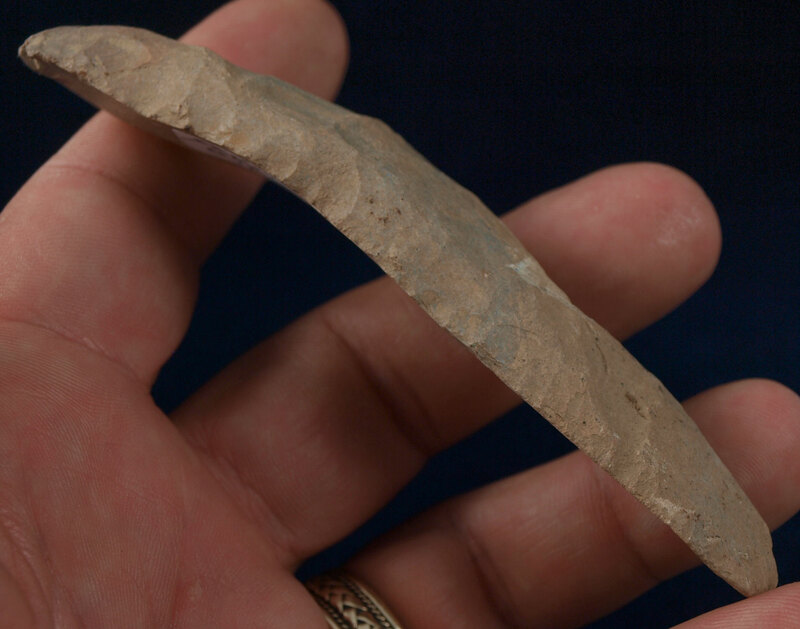 Description: Boyle Chert Uni-face Scraper - This Paleo Uni-face Piece was found in 2006 by Joey Fairbanks in Bath County, Kentucky on an extended ridge off the Licking River basin. 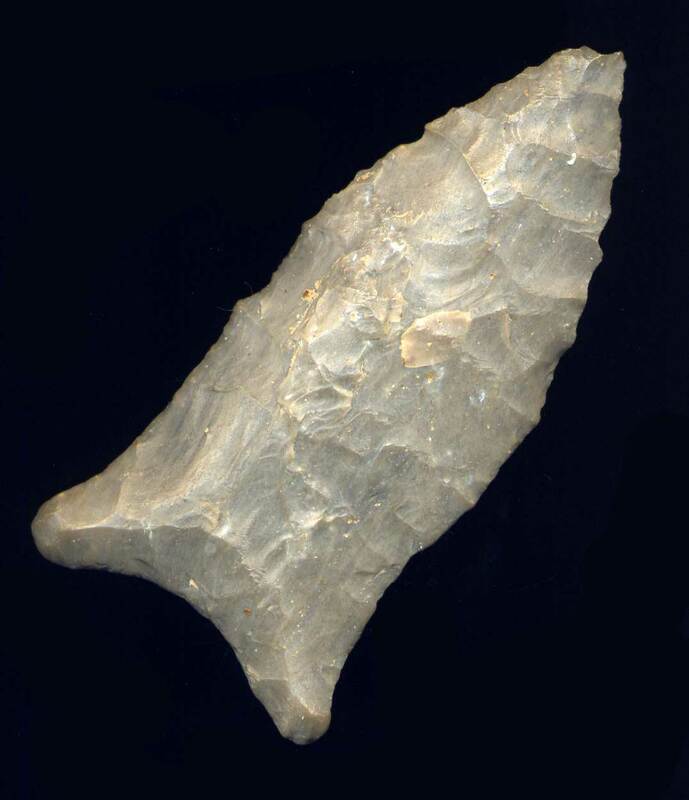 It is made of Boyle Chert. Joe hunted several sites that produced many Paleos. From the J. Fairbanks Collection, Ex- Monty Pennington. Description: Carter Cave Chert Paleo Uni-face Multi-purpose - This Paleo Uni-face Multi-purpose piece was found in 2006 by Joey Fairbanks in Bath County, Kentucky on an extended ridge off the Licking River basin. 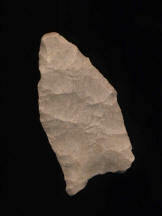 It is made of Carter Cave Chert. 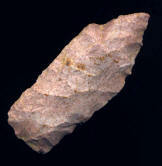 Joe hunted several sites that produced many Paleos. From the J. Fairbanks Collection, Ex- Monty Pennington. 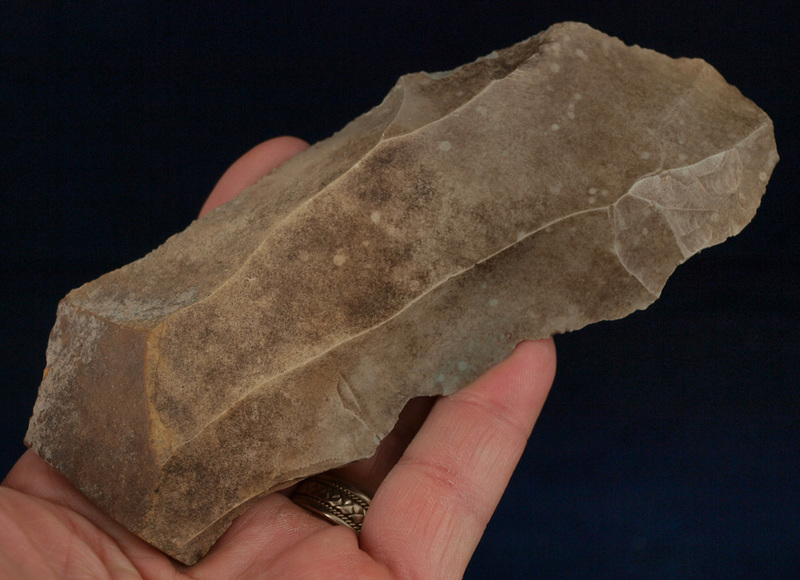 Description: Very Nice Tennessee Fluted Clovis - This Clovis is made from Very Highly patinated Hornstone or Fort Payne Chert. 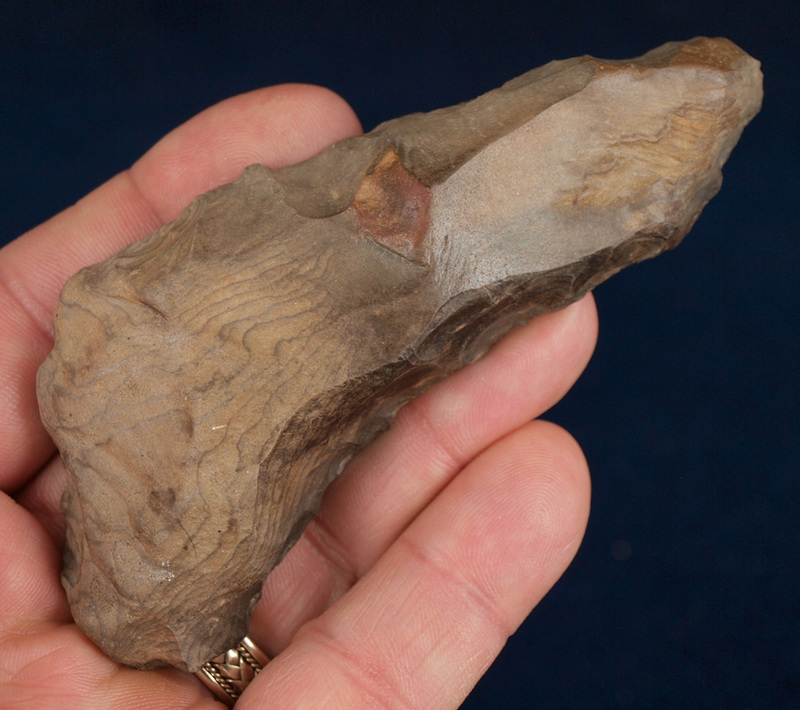 It has nice symmetry and very nice flaking. It is fluted on both sides! It has on small ding near the tip. (see extra photos). IT was found in Middle Tennessee.